TBWA\Raad was named Advertising Agency of the Year and has earned the MENA Grand Cristal for its ‘Camel Power’ campaign for Nissan Middle East at the 2018 MENA Cristal Festival held recently in Beirut and Morocco. Nissan Middle East was named Advertiser of the Year 2018 at the awards. 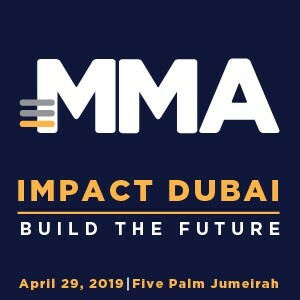 In addition, TBWA\Raad Dubai won nine Gold Cristals, four Silver Cristals and one Bronze Cristal in various categories for campaigns including ‘Camel Power’ for Nissan Middle East, ‘Promoticon’ for McDonald’s and ‘Ice Bucket Challenge’ for Connect. “We are pleased to see that the long hours we have put in to transform our agency and uplift the quality of our creative delivery to globally recognized creative standards has paid off in the prestigious awards we have won this year. What is equally rewarding is that our clients and the regional marketing industry at large have appreciated our drive and mission. We will continue to develop a creative culture that is capable of consistently producing exceptional work,” said Reda Raad, CEO, TBWA\Raad. “The MENA Cristal was always in our top consideration, as it has respectable standards for evaluating creative work in the region. We are delighted to have won its top awards this year. These wins are a solid confirmation that our work has a wider appeal and is being placed among iconic campaigns,” said Walid Kanaan, Chief Creative Officer, TBWA\Raad. Earlier in the year, TBWA Worldwide was named Network of the Year at the Dubai Lynx International Festival of Creativity and TBWA\Raad was crowned Agency of the Year, winning an unprecedented eight Grands Prix and a host of other awards. It was also named among the top 10 ‘Bravest and Best Agencies on the Planet’ by Contagious magazine.